A small revelation took place in the comments section of Terry’s recent posting, Diaries 2. Terry had suggested, reasonably enough I think, that since there appeared to be no information or reaction anywhere on the internet about the recent Benoit Mandelbrot Fractal Art Contest’s exhibition in Hyderabad, India held this past August, 2010, that perhaps the exhibition didn’t actually take place at all. Previous exhibitions had been reported and commented on extensively. What happened to this one? Two winners, whose artwork was in the BMFAC’s exhibition came forward and posted to the comment section that they were well aware that the exhibition had taken place and wondered why we didn’t contact the organizers if we wanted to find out for ourselves (i.e. if the rumors were true). The winners received a “catalog” of the exhibition and one even received some photos taken by an admiring conference attendee. I think their idea was to once and for all clear up the mystery surrounding the exhibition which grew from the absence of any mention of it anywhere on the internet. Not even the official website of the International Congress of Mathematicians 2010 (ICM) who were hosting the event (allegedly) had any mention of it. The two winners who rapidly left comments (one of whom commented before I’d even read the blog posting) probably thought they were rescuing the BMFAC from Orbit Trap’s yellow journalistic clutches –once again. Unfortunately for the BMFAC they merely showed how far this contest has fallen from being the biggest event in the fractal art world to becoming the biggest secret in the fractal art world. That the world still doesn’t know it! Except for the winners, of course. They know all about their own fractal art exhibition now. The BMFAC’s audience this time was it’s own winners. But what about the International Congress of Mathematicians (ICM) that met in Hyderabad, India from August 19-27, 2010. Were they a winning audience too? Do you suppose any of them have no idea what fractals are? or have never seen fractal art? Do they form part of that “world that largely does not know it”? The previous BMFAC exhibits were publicly accessible and not restricted events like this last one which was limited to just the ICM attendees –serious math folks. This I think makes the entire exhibition something of a waste of time as far as promoting awareness of fractal art goes. But I guess from the perspective of the winners it wasn’t. They got a chance to put their work in front of the world’s most elite mathematicians (the proverbial “big break”). Is there any group in this world more capable of recognizing artistic merit and spreading the word better than mathematicians? For sure, they’re the ones you want on board to spearhead a fractal art publicity campaign. Not those ordinary members of the public (certainly not bloggers, either). They’re nowhere near as close to the center of the universe. Just to think that one of those great mathematicians has looked at your work and you have entered into the orbit of their life for just a little while is like having your whole being and very existence confirmed, exalted and glorified for ever and ever. The fact that my art was seen by some of the most prominent mathematicians in the world, seems to pale in comparison to a secondary link being posted on a web. You’d be the first person I have come across to feel that wasn’t enough for people. I actually meant that given what I was, it would be rude to demand more. I am happy with what I have received. You wouldn’t be, and that is sad. But that’s just Chris Oldfield, one of the winners speaking. Perhaps the rest weren’t so thrilled with being part of what might be seen as second-rate exposure for their work compared to the exhibitions of previous years. If the central point of the initial post was that David Makin was wrong and that organizers aren’t doing a great job getting fractal art out to the public, I agree, he’s wrong, the works did not reach too wide an audience to merit such phrase, even though it did reach a wider audience than it would if it stayed on the web. “…on the web.” Yes, the web is no place to publicize anything these days. On the other hand, if any of those fractal art works in the exhibition should pique the curiosity of one of those math monarchs, where are they going to go to see more? Maybe the internet? For some people, that’s the first place they go; conferences come after. Esin Turkakin also includes the comment, “I’m merely voicing my opinion just like you are, and am in no way affiliated with whatever high court you’re imagining.” What I think she’s getting at is just because she was a winner in the contest that doesn’t mean she can’t comment objectively on the BMFAC’s exhibition. That’s true of course and Chris Oldfield as well makes a number of comments about the BMFAC that probably reflect the thoughts of fractal artists who weren’t part the contest. It may not say much but I think it says something that the only comments made to the recent posting about the contest came from artists whose work was in the exhibit, i.e. 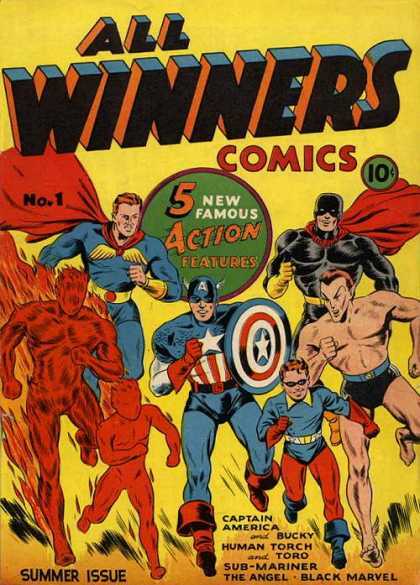 “winners.” And why was that? Maybe it’s because the self-imposed radio silence by the contest organizers has reduced the audience of the Hyderabad exhibition to just the winners? Is that the only “world” anyone would have thought the ICM exhibition was going to be presenting fractal art to? Your blog is among my bookmarks, I check it regularly, and comment when I feel like I have something to add. Me being a fractal artist and this being a fractal art blog, why does that surprise you? The reason why you got comments only from two winners of the contest is that, as you said, the winners were likely the only people in the fractal art community who explicitly knew that the exhibition took place (thus had something to say), and “the rest of the world” that may or may not have known anything about the contest or the exhibition, sorry to say, probably hasn’t heard of your blog. One thing you’re missing is that even though the exhibition itself wasn’t publicized, the contest, entries and winners are already on the web and pretty visible to those who are looking for fractal art. So visible, in fact, that I got at least 5 serious inquiries about what I do/how I do it/the state of fractal art (my answer to which included a link to this blog) etc. , from a wide variety of people (art students, math teachers, traditional and digital artists, random web dwellers…). And that’s the number of people who bothered to look for and find my e-mail address – that info wasn’t on the contest website. So the exhibitions are really for those who would not search for fractal art to begin with. Prominent math professors are likely within that group. Having an exhibition at an acclaimed art gallery or even museum would be the next step, and I think that’s what we, as a community, should be shooting for, but until someone manages to get a fractal exhibit accepted to an art museum, we’re pretty limited in where we can exhibit our art in the “real world”. Excellent, lets see it… links please. Again, this was not a standard exhibit, where you could invite people, or walk in off the street. It was under media blackout. I really don’t know how much more clear an answer you need, as to why you couldn’t find what you were looking for on the web. The value of the exhibit wasn’t in marketing power, or in it’s ability to make money. It’s value was in inspiring the people who were there, at the ICM. It’s value was putting our art in front of those capable of using it their every day lives. You mention “advancing our discipline” so often that’s it’s almost thematic, and yet, you fault one of the greatest opportunities to do so. Treat the opportunity as valueless. I don’t see how you two can feel that way. These are the very people who will keep the discipline fresh, and new, and combat that “artistic stagnation” you seem to find the time to mention so often. I am still unsure how you fault this exhibition for not being open to and advertised to the public, when the others were. Sounds to me as though both marketing avenues were taken advantage of. It looks as though you are being very selective in your reasoning. I am also quite positive, that if the ICM would have had the ability to hold the event while avoiding a media blackout, it would have done so. As it was however, it didn’t look like that was an option. @Tom: I mean the official contest website, which shows up as the very first link in google with keyword combinations such as ‘fractal art contest’ or ‘fractal art mandelbrot’ (the latter shows the 2007 contest first and the recent one further down). so the contest and its contents are easily accessible, not only through google and the official website but also a few scattered digital art and fractal art blog features. the specific exhibition is mentioned (as a future event) in the contest description too. the only thing that’s not available (as OT keeps pointing out) is the news that it actually happened, which leaves anyone who doubts that (however limited a population) in the dark. So if internet is the first place where people look, the online exhibition has been there from the day the winners were announced. By your own account, if you got five inquiries from the not-updated-for-16-months BMFAC website, maybe you would have received ten more if the contest director had bothered to promote any one of the five exhibitions on that same site. You fret about limited populations and lament that fractal artists have few chances to exhibit, but the numbers will surely never increase if exhibition organizers completely fail to have any coordinated media push for their own shows. You appear pleased with your experience, but I wonder how the other winners feel about being a part of this particular dead air BMFAC exhibition. Or, like Chris, do you think it should “be enough” for the winning artists that they were among the only 25 people in the world who got a private PR package? As a comparison, it’s not uncommon for Orbit Trap, admittedly a niche blog, to get more than 25 unique hits *in a single hour. * The word on fractal art in the “real world” can and will slowly get out — but not unless a conscious effort is made to use media to reach an audience beyond the exhibited artists. However you try to spin this situation positively, it’s a blown opportunity and certainly not “sterling work” advancing the cause of our discipline as some BMFAC adherents claim. P.S. to Tom: No need to Google the main BMFAC page. There’s a link to the “rules page” in this post. In fact, Orbit Trap links to the BMFAC site every time we write about the competition. I suppose you could say that practice is some kind of get-out-the-publicity thing with us. What good is an art exhibition that is under a “media blackout”? Who organized and sponsored such a show? The CIA? I suppose the directors and sponsors could tell people about the exhibition, but then I guess they’d have to kill everyone within earshot. And how did the winners (like you) manage to bypass this mysterious blackout? Didn’t you say you possessed photos of the India show and could provide them to OT (but, as of yet, haven’t)? And how exactly are academics and other non-artist professionals in mathematics going to “use fractal art in their daily lives” or be motivated to combat “artistic stagnation.” Were they all lining up after viewing the show and fighting among themselves to see who’d be the first to write hacks for Apo or public coloring algorithms for UF? Funny how you fault me here for not providing you images of the event, when there has been an email sitting in your inbox regarding the matter since I first posted regarding the exhibit. If you wanted the images, you had an avenue to receive them. All you had to do was email me back, as the email stated. I’m not in the habit of sending resources into cyberspace without confirmation. I am really starting to get a picture of how you guys operate. You can easily upload exhibition photos to any of your numerous web spaces and post a link in a comment here. Nothing at all is stopping you from doing that — including receiving some kind of “confirmation” from me. which convinced me you are “not amused” and are very very proprietary about images of yours that, once made public, you mistakenly think you can completely control — under all circumstances — by proclaiming your own royal edict. Consequently, I never expected you to post links to any photos of the 2010 BMFAC exhibition in India. However, if you wish, you may consider this sentence in this comment to be official confirmation for you to post or send me via cyberspace that digital photograph of a cake I mentioned in the comments on the previous OT post. Consequently, you were wrong. I fully intended to provide you with the images. Even in the face of being insulted and parodied. That’s why I took the trouble to email you to begin with. It’s obvious where your priorities lay. You would rather make inflaming remarks about not receiving the information, then actually receive the information. That’s why you didn’t contact the ICM. That’s why you haven’t emailed me back. Like I said, it’s starting to become clear how you operate. You can have the images if you email me back… or “is his Majesty to busy to stop his closed-curtained carriage with its wheels glistening with the blood of village children.”?